Eva Nine has finally found what she has always been looking for; other human beings. Having been rescued by Hailey, Eva couldn't be happier, and now Hailey is taking Eva and her friends to the human colony New Attica, where humans of all shapes and sizes live in apparent peace and harmony. But all is not as idyllic as it seems in New Attica, and soon Eva and her friends realize that something very bad is going on ~ and if they don't find a way to stop it, it could mean the end of everything and everyone on Orbona. 1. At the beginning of the book there is a quote from Carl Sagan, “The universe is not required to be in perfect harmony with human ambition.” Discuss what Carl Sagan’s quote means. How does this relate to A Hero for WondLa? 2. Eva Nine catches a glimpse of herself in a lens of a headlamp and sees a dirty, disheveled girl. She then tries to straighten her hair and make herself more presentable. Hailey has shaggy brown-and-blue-dyed hair that is stuck to his face with perspiration, tanned skin, and dirty hands, and he eats his voxfruit in a slovenly way. He wipes his dirty hands on his pants. These are the first impressions Hailey and Eva Nine have of each other. It has been said, “You never get a second chance to make a first impression.” What impression does Hailey have of Eva Nine? What does Eva Nine think of Hailey? Are first impressions important? Are they correct? How heavily should one rely upon first impressions? 3. Eva Nine has a remarkable ability to communicate with many different species. Why does she have such difficulty communicating with humans, such as Hailey, Eva Eight, and Gen? How does telepathy influence Eva Nine’s life? 4.Throughout the story Eva has conflicting thoughts about Muthr. They had arguments about Eva exploring, and yet Eva was well taken care of by Muthr. The smell of motor oil on Muthr had a comforting effect on Eva. Muthr willingly sacrificed herself to save Eva. When Eva meets Eva Eight, she hears of a different Muthr than the one she knew. Discuss the differences the sisters had in their upbringing. Is it unusual for parents to raise their children in different ways? 5. Eva Nine had a tracking chip inserted underneath a mole on her body. The tracking chip enabled Hailey to locate Eva Nine, and also provided Cadmus Pryde the ability to track his citizens in New Attica. How does this tracking chip compare to microchip IDs for animals? How does this tracking chip compare to today’s cell phones with GPS and to anti-kidnapping devices implanted under the skin? Did the tracking chip do more than just locate a person? 6. Hailey referred to Eva as a “reboot.” Eva did not like the term nor the tone in which it was said. Hailey wanted to be a “retriever” as was his father. What do these terms mean? The citizens of New Attica call Vanpa and his friends “toilers.” How does the way words are used make Eva, Hailey, and Vanpa feel? Look into history for other words that are used to make people feel uncomfortable or empowered. 7. Rovender advised Eva Nine to “sometimes disregard what one is saying and focus instead on what they are doing. Watch and observe. That is when one reveals his true self.” How did this advice help Eva Nine throughout the story? Was this good advice? Why or why not? 8. How important are memories? How accurate are memories? Consider Eva’s memories of Muthr, Eva Eight’s memories of living in the sanctuary, Vanpa’s life experiences, and Rovender’s memories of his family. 9. Read the Manifesto of New Attica. It begins with the statement “Man created Tech to aid man.” Consider the meaning behind the manifesto. What is your opinion? Do you believe what the manifesto says? Does our future seem to be following the same path as New Attica’s? As you discuss the manifesto, remember Eva’s experience with technology outside the sanctuary. 10. When Eva Nine enters New Attica she is amazed at what she sees. Is there anything in New Attica you would like to see in your lifetime? 11. If life in New Attica was so perfect, why did it need to be patrolled by authoriton guards? 12. Compare Cadmus Pryde’s interpretations of the Mona Lisa to Cadmus’s own version of New Attica. 13. Discuss the pros and cons of Emote Attire, which shows one’s true feelings. Is it a good thing for everyone to know how you feel at all times? How is Emote Attire similar to mood rings? 14. In the paradise of New Attica is there any bullying? The three Gens laugh, point, and make faces concerning Paige Trundle’s appearance. Is this a form of bullying? 15. Hailey was captured by Cadmus Pryde’s authoritons and considered a corrupted specimen. According to Cadmus Pryde, a corrupted specimen of a Homo sapiens neo was an individual with a predisposition to free thought due to unmanaged neurochemicals in the brain—one who was prone to rebel authority. The individual needed to be treated before he/she was naturalized into society. How would our founding fathers react to such a definition? 16. What is friendship? One element of friendship is trust. What other elements are included in friendship? How did the friendship between Eva Nine and Rovender influence Eva in her decision to rescue Rovee against her sister’s wishes? How did friendship among humans and aliens allow for an escape from New Attica, Cadmus Pryde, and the authoritons? 17. Discuss Rovender’s opinion that “Land does not belong to anyone. We belong to the land. To Orbona. 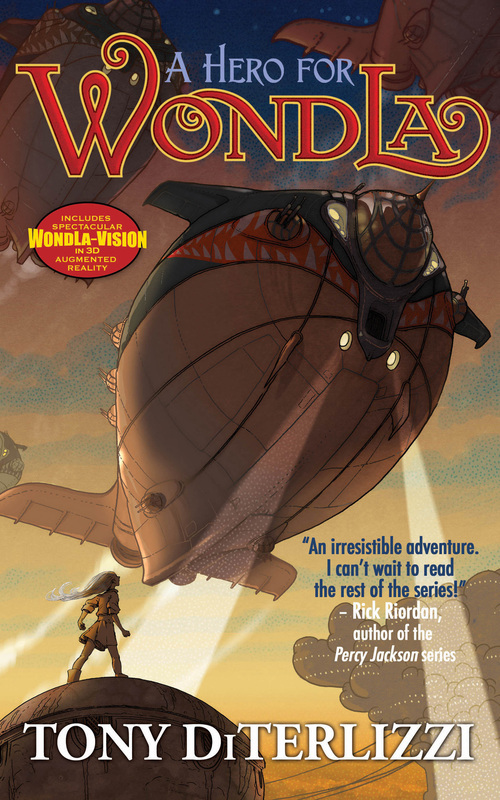 The planet must be free to breathe and grow as we breathe and grow.” Is the Wondla series a cautionary tale? 18. Eva Nine searches for a family in both books. What is a family? What expectations did Eva Eight have for a family? When Eva Nine meets Eva Eight a tension builds between them. Is this usual with siblings? Why was Eva Nine more comfortable with Rovender, an alien, than with Eva Eight, her own flesh-and-blood sister? How did Muthr fit into the definition of a family? Rovender told his father, “A child needs his parent at all times, not just when life is smiling down upon him.” How did the loss of Rovender’s partner and unborn child affect him? What happened to his family? 19. When Nadeau was returned to his village, Antiquus pushed a blade through Nadeau’s throat and an audible exhalation was heard. Antiquus said that Nadeau’s spirit was released. Was this a humane thing to do? Euthanasia is often done with beloved pets to stop their suffering. How does euthanizing an animal compare to euthanizing a human? Was it permissible to euthanize Nadeau because he was an alien or because it stopped his suffering? 20. Isolationism is a policy of remaining apart from the affairs or interests of other groups. Rovender tells his village’s council, “You think you may avoid the world by hiding up here, but eventually the world will come to you. And you may not like what you see.” How is this belief of isolationism similar to what the Amish people or the Australian Aborigines believe? Will it be possible for the Caeruleans to stay neutral against the threats from Cadmus Pryde’s vision and his robotic army? 21. One of Eva Nine’s characteristics is being compassionate not only toward her own family but also to many of the alien creatures she encountered. How did this one characteristic help or hinder Eva Nine throughout her adventures? How important was this characteristic to Eva’s personality? Mother informs Eva that compassion is an energy beyond anything she can create. If this is true, where does compassion come from? In WondLa, a chimera is a being composed of both machinery and living tissue. As Hailey and Eva escape from Cadmus’s lab, Hailey rips off the armor of an authoriton. Eva sees a pale, atrophied human arm within the armor. She asks Hailey if there was a person inside. Hailey replies it was just cloned parts. Compare and contrast a cloned robot with someone who has robotic body parts. 23. How would you describe Cadmus Pryde? Was he a visionary? Did he treat his citizens well? How did he relate to the aliens inhabiting Orbona? How did the citizens of New Attica view him? What were his good characteristics? Did he have any faults? From what we have learned of Cadmus in this story, has he changed in any way and, if so, how? Was he a good leader? 24. Is it possible for organic materials to coexist with man-made materials? For example, consider New Attica and the Wandering Forest. Is it possible for the two to exist together? Are we able to exist on earth with our man-made technology, weapons, and toxic chemicals and still provide the natural food and air quality necessary to survive? What side effects have man-made materials done to our earth? Is it possible to correct them? What can be done to solve some of our man-made problems? 25. Eva Nine had never experienced the death of a loved one. She did not have any customs to relate to when Muthr died. Did Rovender’s cultural beliefs on death help Eva Nine understand or accept the death of Muthr? If Rovender’s beliefs helped Eva Nine why did they not help Rovender? 26. Loroc informed Eva Nine that, “Cadmus is winning a battle today so that he may lose tomorrow. I will do to him as I am to do to you.” Is Cadmus an evil man? Is Loroc an evil alien? Who is the most evil of the two? What is evil? Is it possible to have good traits at the same time as having bad traits? 27. In the beginning of the book, Eva Nine was a scruffy-looking girl who had just lost her Muthr. Did Eva Nine change in any way throughout the book? Did her physical appearance change? If so, in what ways? Did she change her outlook on how to treat other people and aliens? Did her perception of herself and her abilities change? What experiences influenced any changes Eva Nine made in her life, be it physical or emotional? 1. As Eva Nine continues her journey through life, she learns about death. She saw how Besteel killed the aliens he captured, she saw how Rovee killed turnfins for food, she witnessed Muthr’s death by Besteel, she saw the remains of an air whale and wondered how and why it died, and she questioned where one’s spirit goes when one dies. Many cultures have different ways to explain death. Rovender told Eva about the loss of his partner and child. The customs in his village did not help him with his grief. Have your students research how different cultures explain death and what customs are performed to help understand death. 2. Have your students write an essay about a futuristic civilization. They should include what technology is available, how one communicates, what diseases exist, modes of transportation, what kind of nourishment is available, and housing and attire for the inhabitants. The students can then share their visions with their classmates. 3. How accurate can a prediction be by noted soothsayers such as Nostradamus? Have your students reread Arius’s prediction and write their own prediction. They should write it in the same format as Arius’s, which will tell the tale they believe will happen in the next book. 4. In New Attica the people don’t eat food, they have food-flavored nutrition pills. Have students research the advantages and disadvantages of getting nutrition only through pills or freeze-dried foods, such as the foods astronauts eat. Which food is healthier, the pills or the real food? Allow the students to sample different freeze-dried foods. 5. Have your students research biomechatronics—the science of using mechanical devices with human muscle, skeleton, and nervous systems to assist or enhance motor control. Then the students can share their findings with one another. Does this field of science sound similar to what Cadmus Pryde did in New Attica? 6. Have your students experiment growing plants under different conditions. Let the students choose what kind of experiments to try. There could be one experiment using fertile soil, natural sun, and proper watering. Another experiment could have artificial light, fertile soil, and proper watering. Another experiment could have fertile soil and natural light but less water. One experiment could use polluted water with the fertile soil and natural light. Let the students chart the results and compare the different effects on the plants to see what makes the best growing conditions. Is there a difference between using artificial light and sunlight in the plants? 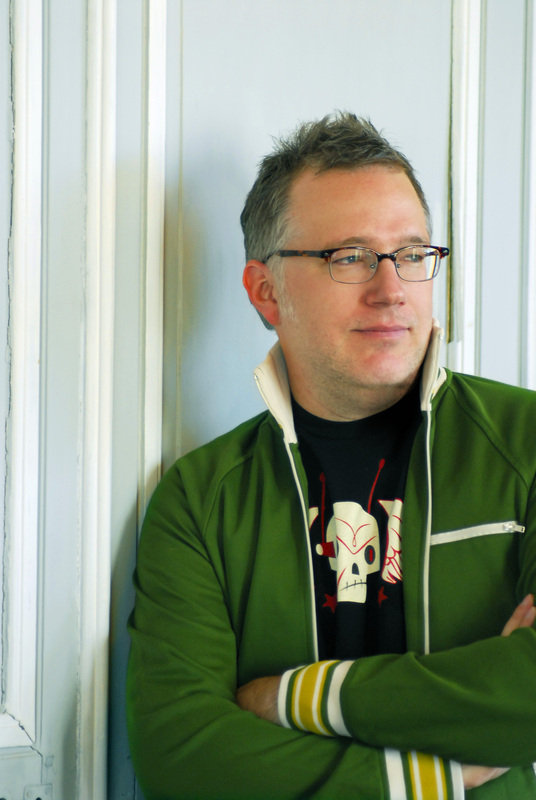 Tony DiTerlizzi is co-creator of the international bestselling series, The Spiderwick Chronicles. He has illustrated numerous picture books for children, including Ted, G is for 1 Gzonk and the critically acclaimed The Spider and the Fly, which won the Caldecott Honor. Tony lives in Amherst, Massachusetts with his wife, Angela, and their baby daughter, Sophia.